Skinny Medical Review | Buy or a Scam? Page updated Jan 11, 2019. First published Nov 13, 2015. Skinny Medical is advertised as a quick and stress-free solution to weight loss. This UK supplement comes with a diet plan and a money-back guarantee, and looks reasonably good at first glance. However, the big question is whether it is effective and, more importantly, if it is safe. We take an in-depth look at Skinny Medical to find out more. Skinny Medical is a weight-loss supplement that claims it will suppress appetite, help you feel more energetic, block some of the dietary fats that you eat, and help you burn fat. The supplement is made in the UK and conforms to GMP (good manufacturing practice) so you can be confident that the supplement will be made in a proper facility and will not contain any unknown or mystery ingredients. What Are The Side Effects Of Skinny Medical? Side effects are unlikely, as Skinny Medical has been GMP certified which means it is safe for human consumption. How Much Does Skinny Medical Cost? One month’s supply (60 capsules) costs £34.99. There are some very good points about Skinny Medical. We think it looks pretty effective as a weight-loss supplement and it may help support your goals. We haven’t been able to see the associated diet plan, but it is a point in the supplement’s favour that it is included free. If you are stuck for a plan, then it may help too. We like the fact that the supplement is made in a GMP factory in the UK because this means it conforms to food safety standards and will not contain additional ingredients or cause dangerous side effects. 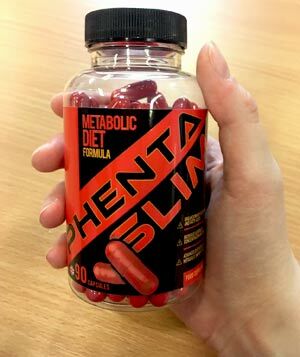 This is very important, and with so many potentially dangerous supplements on the market, we feel that this one is unusual because it looks effective and seems to be very safe. Although the ingredient quantities are not provided by the advertising straight away, which is annoying, this information is present on the label with a link on the website. In addition, you are covered by the 30-day guarantee, which means that you can try Skinny Medical for a few weeks, and if it is unsuitable, just return it and get your money back. The lack of independent feedback is annoying but this is always a problem when companies choose to sell via their own website. And again, you do have the money-back guarantee if you are not satisfied. Overall, we think that Skinny Medical may be worth a try so have decided to add it to our approved list. Skinny Medical contains nine natural ingredients and comes with an explanation of how these will achieve these effects. Some of the ingredients can work in many ways and show up across the formula. The principle ingredient is Garcinia Cambogia, a tropical fruit similar to a Tamarind. It contains a chemical called Hydroxycitric Acid (HCA), which is said to reduce appetite and block fat. Garcinia is contained in most parts of the formula. For the Appetite Suppressing effect, you have Garcinia Cambogia, Chromium (a trace mineral that is been investigated as a treatment of diabetes), and Yerba Mate (a caffeine-rich leaf from South America). Some evidence suggests that Yerba Mate can help feelings of fullness because it seems to delay gastric emptying so can help you feel fuller for longer. The Energy Enhancing effect is provided again by Garcinia Cambogia, and again Yerba Mate thanks to the caffeine. In fact, the other ingredients here are all caffeine based and include Guarana, Kola Nut and simple caffeine. This will boost your energy levels and affect your metabolism but will not suit you if you are sensitive to stimulants or have health issues around heart health. Caffeine is well tolerated by most people but it is a powerful stimulant that does not suit everyone. The Carb Blocking effect is provided by just one ingredient – the mineral zinc which is essential for many health aspects and helps the body manage sugars and absorb nutrients. Take two capsules per day with food and water. Take one capsule before breakfast and one before lunch. Drink at least two litres of water daily when you’re taking Skinny Medical. Not only will this keep you hydrated but it will also boost your weight loss results. Finally, the Skinny Medical Fat Burning formula contains Garcinia Cambogia (again) plus capsicum – chilli pepper extract that may help increase body temperature (thermogenesis). It also contains Yerba Mate and Green Tea extract. There is evidence that green tea combined with caffeine (yerba mate) can increase weight loss. Annoyingly the Skinny Medical does not provide the ingredient quantities in their advertising however; this information is present on the label. Skinny Medical is based in Wigan Lancashire. The company market just this one supplement and is aimed at the British customer. However, the parent company appear to be based in Canada and Skinny Medical ship worldwide so is available to everyone. We have not found any associated scam issues with Skinny Medical. The company provide a “risk-free” option where you can take the supplement for 30 days and claim your money back if not satisfied. Sometimes this can flag up concerns about auto billing but although you can buy the supplement in bulk, such as four month’s supply, the company are not operating any auto shipping options. What Does Skinny Medical Claim To Do? The Skinny Medical advertising displays some impressive before and after photos but no one is too skinny or too fat. The pictures look fairly convincing although, of course, you do need to take this type of advertising with a strong pinch of salt. One key to success seems to be the Skinny Medical Diet Plan, which you can download for free once you buy the supplement. If you are already following a diet you are happy with, don’t worry! Skinny Medical will work with all major diet plans, although we would recommend looking at The Skinny Medical Diet Plan, as it has been specially designed to compliment the Skinny Medical supplement. When you’re overweight it can be difficult to find the energy to exercise even if you know that that will help you lose weight. We all know that to successfully lose weight you need to “eat less, move more” and the energy boosting ingredients in Skinny Medical will help you do that. However, there are no links to any clinical evidence that prove the claims for the various ingredients. It might work, if as the customer said, you stick at a diet and remember to take the capsules. There is evidence that many of the ingredients are effective for health and weight loss. Yerba Mate and the Green Tea/ Caffeine combination will probably increase your fat burning results and help reduce hunger pangs. Zinc is an important mineral that helps you absorb vitamins and nutrients and is lacking from many diets. Chromium is being tested as a treatment for diabetes because it seems to influence the way the body uses insulin. Although the testing into Garcinia Cambogia is not conclusive, many tests have shown that it does help support some weight loss and we feel that when combined with the more effective ingredients, it will have a positive effect. We feel that Skinny Medical may help support your weight loss. Although Garcinia Cambogia may not be the “miracle ingredient” as so many people claim, clinical testing has shown a variety of results that indicate it may help in various ways. In addition, the blend of the other ingredients looks good and may offer some support if you combine it with a weight loss diet or exercise regime. That said, this supplement will not suit you if you are sensitive to caffeine. What Are The Ingredients of Skinny Medical? Skinny Medical is a general purpose weight loss supplement that you take in combination with a diet. Each daily serving is equal to two capsules. Many of the same ingredients have a multi-purpose. Garcinia Cambogia: Some evidence suggests that Hydroxycitric acid contained in Garcinia Cambogia may help increase serotonin levels so help you avoid emotional overeating and comfort snacking. Chromium: Trace mineral so your body requires very little. However, it is important for helping to regulate insulin levels and blood sugars so may help prevent you from craving sweets. Yerba Mate: Leaf which contains caffeine and often drunk as a replacement to tea and coffee in South America. Some evidence suggests that yerba mate may delay gastric emptying so may help you feel fuller for longer. Garcinia Cambogia: According to the advertising, Garcinia Cambogia provides a boost to metabolism and energy levels. When tested on animals it appeared to increase serotonin and metabolic pathways. Caffeine: The world’s best-known stimulant which acts on the body’ central nervous system which as we all know perks us up and provides energy. Dangerous in high quantities but for most people very well tolerated. Effects can wear off once you become accustomed to use. Quantities not provided. Kola Nut: Once an ingredient in Coca Cola, Kola Nut is another source of caffeine. Zinc: Essential mineral found in seafood and fish and lacking in many people’s regular diet. Zinc is shown to encourage a healthy digestive system and enables your body to absorb essential vitamins and nutrients from your food. Garcinia Cambogia: HCA inhibits an enzyme called Citrate Amaylse, which is present in saliva. Citrate Amaylse helps the body to absorb carbohydrates and convert them to fat so blocking this function in turn blocks fat gain. Capsicum: Most commonly found in chilli peppers, Capsicum has long been known to have fat burning properties, making it a popular ingredient in weight loss products. Obviously eating spicy foods will boost your Capsicum intake but Skinny Medical means you don’t need to stuff yourself with super-hot curries! Green Tea: Healthy ingredient which as the product information explains, “ you could boost your weight loss results by sitting down and having a cup of tea as Green Tea is one of the most powerful 100% natural weight loss aids money can buy. If you don’t fancy drinking gallons of tea Skinny Medical uses Green Tea extracts to boost your metabolism and burn fat. Evidence shows that when combined with added caffeine, results are improved. Kola Nut: Another source of caffeine that will combine well with the green tea. Does Skinny Medical Have Any Side Effects? According to the product information, side effects are unlikely. Skinny Medical has been GMP certified which means it is safe for human consumption. All ingredients are clinically proven to be safe. It is important to note that Skinny Medical does contain caffeine so if you are sensitive to caffeine you may experience some caffeine-related side effects. Not suitable for individuals under 18. Avoid if you are pregnant or breast feeding. Speak to your doctor first if you have an underlying medical condition (such as diabetes, epilepsy, hyperthyroidism) or are taking prescription medication. Are There Any Customer Reviews For Skinny Medical? 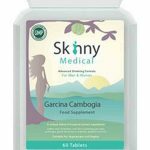 Skinny Medical is only available from the product website so although there are plenty of customer testimonials, we cannot guarantee they are all genuine or that the company have not filtered out any negative comments. After two weeks on this plan I had lost 5lbs! But, more impressive to me is they are really helping me with my workouts. I feel energised. Does Skinny Medical Offer a Money-Back Guarantee? Skinny Medical comes with a 30-day 100% money-back guarantee. This means that if you are unhappy with the product for any reason, you can return it within 30 days of purchase and get your money back. Where Can I Buy Skinny Medical? Skinny Medical is not available in shops or stores. At the time of writing, it only seems to be available via the Skinny Medical website. Delivery is free to UK addresses. The company offer free worldwide shipping so Skinny Medical is available to everyone without extra costs. 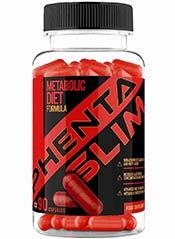 How does Skinny Medical compare to Phentaslim? 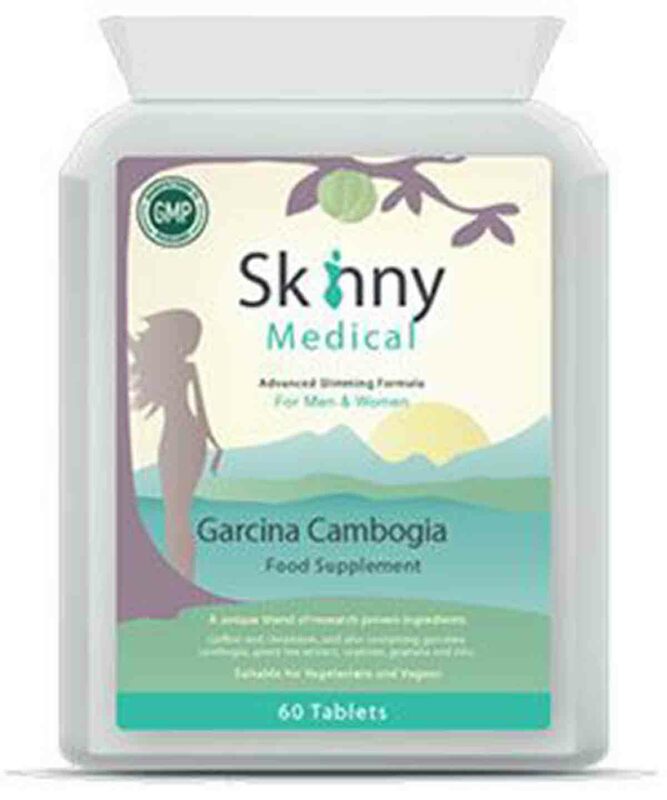 Skinny Medical contains nine natural ingredients, and the principle ingredient is Garcinia Cambogia. The supplement is made in a GMP factory in the UK, and will not contain additional ingredients or cause dangerous side effects. In addition, you are covered by the 30-day guarantee, which means that you can try Skinny Medical for a few weeks, and if it is unsuitable, just return it and get your money back. “Side effects are unlikely, as Skinny Medical has been GMP certified which means it is safe for human” This is absolutely rubbish. I am a pharmaceutical chemist and I have been providing GMP training to pharmaceutical companies for 22 years and have worked in pharmaceutical for several more years in QA before that. I can assure you GMP certified does not mean it’s safe for human consumption with unlikely side effects as you have stated. GMP certified means the factory that makes this product practices Good Manufacturing Practices (GMP). There are many facilities that have good sterile environment with good record keeping that have passed GMP certification who sell their services,offer Contract Services to any supplement company and produces their products for them in their facility. GMP has nothing to do with product testing or safety of ingredients,it is only relevant to the facility. For instance,I could come up with a supplement today and just pay a GMP certified contract facility to manufacturer the supplement for me and then claim that my product is manufactured in a GMP certified facility. It basically just means that I have manufactured it in a facility that is GMP certified it does not vouch for the quality of my product or safety of the ingredients.A supplement with potential side effects can be manufactured in a GMP certified contract facility & claim that it is made in a GMP facility if you see my point. In fact pretty much most pharmaceutical drugs which are by law required to be manufactured in a GMP certified facility all have side effects in varying degrees but at least they are documented & well regulated but unfortunately the supplement industry is not that regulated and do not follow the strict standards of pharmaceutical. So many supplements are manufactured in a so called GMP certified contract facility in China. I have been there and seen it. This does not mean that the product is safe or regulated. I am surprised that you’re not aware of this & have stated that it’s unlikely to have side effects and this product is safe. I had such faith in watchdog until I read your review. If you are going to write a review,look at the ingredients and studied their side effects in peer reviewed journals or reliable articles before pushing them off as safe to unsuspecting panel who may take your word for it. I am by no means say this particular product is unsafe. I have not reviewed the ingredients,I am merely commenting on your statement. there are ingredient’s list provided on their website, could you elaborate on your review. Re weight loss what do you recommend?? To help loose belly fat??? I want to lose or tighten my stomach area and thighs up. I have an exercise routine but I only do it twice a week. Will I actually see results and how fast?